Honda will axe the Element after the 2011MY after sales of the quirky MPV started plunging. Honda explained that "utility-seeking customers have more recently embraced other vehicles in the Honda line-up," such as the Honda CR-V. 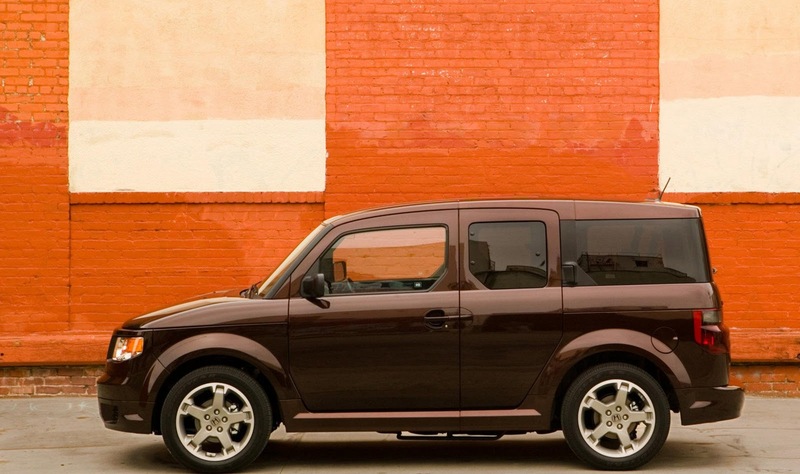 In November, sales of the Element fell 11.5% year-over-year, to 939 units vs. 1.107 units in November 2009. 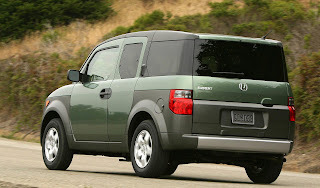 So far in 2010, Honda sold 12,960 Elements, a slip of 3.4% vs. 2009. Honda did very little to update the Element MPV mechanically, so it fell behind in the Honda line-up when it came to fuel economy. 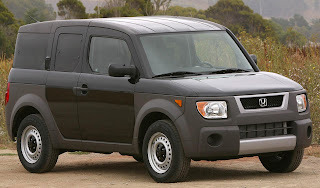 A 2010 Element 2WD with the 2.4 litre 4-cylinder engine and 5 speed automatic transmission delivers 20mpg in town driving and 25mpg on the highway, according to the EPA. In contrast, a 2010 CR-V with the same engine gives 21mpg in town driving and 28mpg on the highway. Honda said it sold more than 325,000 Elements in the U.S since its launch in December 2002. 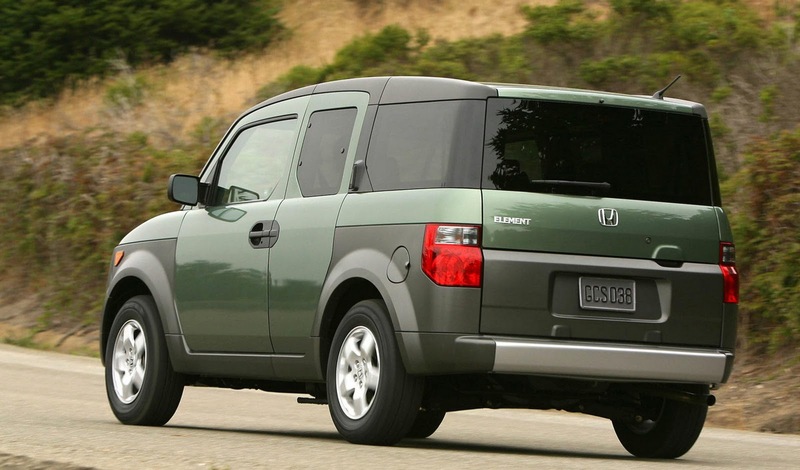 The 2011 Honda Element will be the final model year of production of the innovative and functional crossover utility vehicle, American Honda Motor Co., Inc., announced today. First introduced in concept form as the Honda Model X at the 2001 North American International Auto Show, the Element virtually created its own functional class and became an immediate favorite for small businesses, outdoor enthusiasts and pet owners. After a long life cycle, utility-seeking customers have more recently embraced other vehicles in the Honda lineup like the versatile and comfortable CR-V.
"The Element proved that ultimate functionality can often come from thinking inside the box," said John Mendel, executive vice president of American Honda. 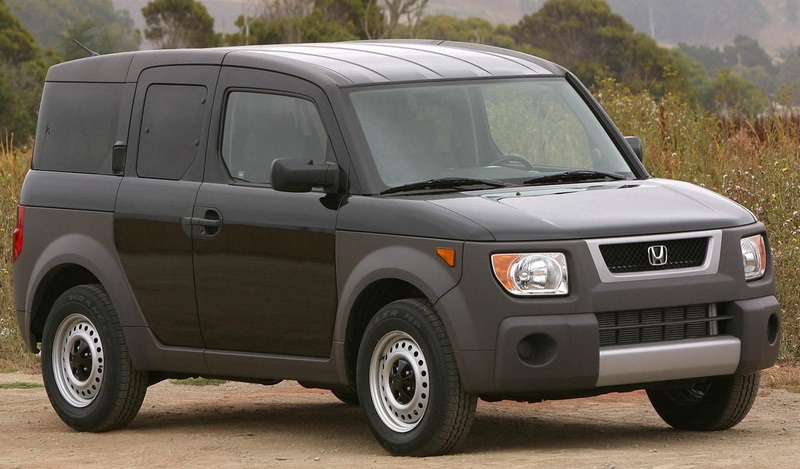 "It made boxy vehicle designs cool, and Element owners continue to enjoy its unique styling and unmatched versatility." 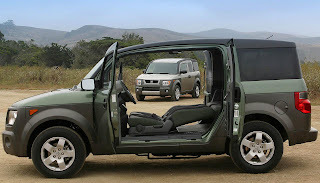 Developed from the inside-out, the Honda Element entered new territory when it debuted during the 2003 model year by providing a multi-functional cargo area, innovative and versatile seating, a durable and dirt-friendly interior, energetic performance and outstanding value. Major upgrades were made through the years including more power and safety features in the 2007 model year. 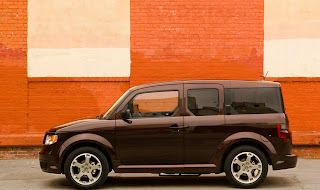 More recently, the Element embraced its long-held position as a pet-friendly vehicle by introducing the Dog Friendly Element accessory package in 2009.